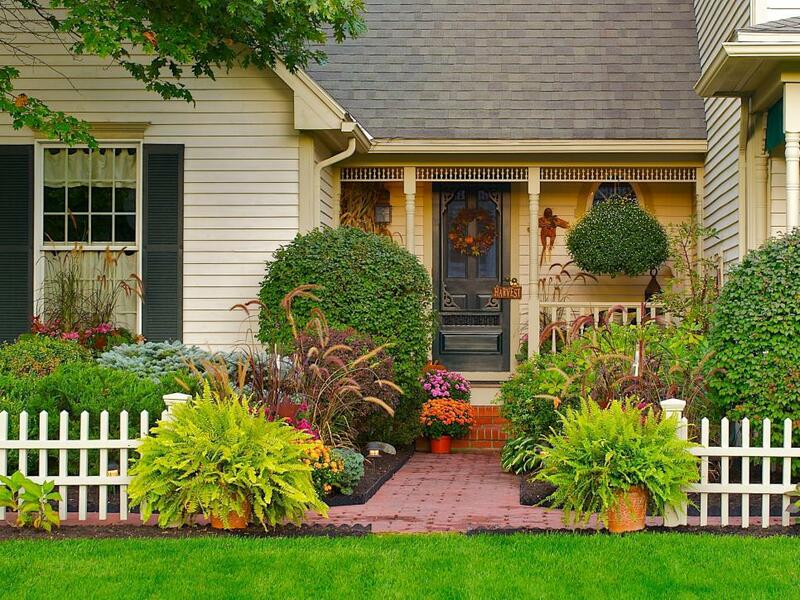 Whether you own, rent, or are selling your home – curb appeal is everything. Having a beautiful looking house on the outside invites guests in, and entices potential buyers to dream about their future dream home. But if your home needs some work or upgrades, the cost can add up – unless you’re using these affordable hacks. From your garage to your front door – these ideas are genius. 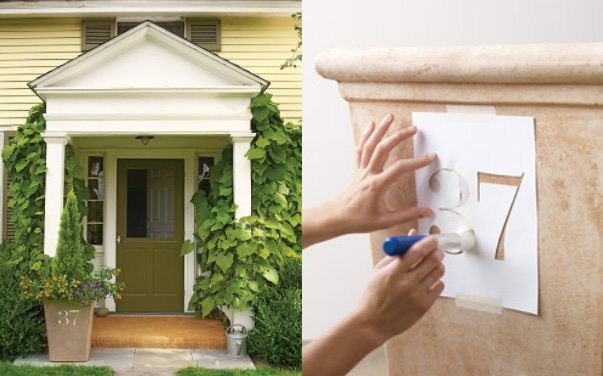 Here are 40 low-cost, simple, and creative DIY ways to instantly give your home a facelift. 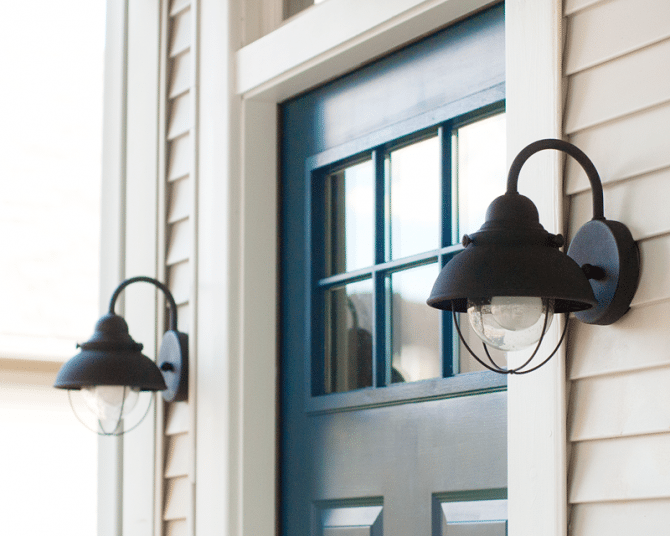 Funky porch lights can really make a statement on your home. It also offers a nice safety feature. Transform two ordinary pots into beautiful planters by flipping one upside down and gluing or cementing another pot, upright, on top. They look elegant, beautiful, and they are perfect for lining a walkway or a front patio. 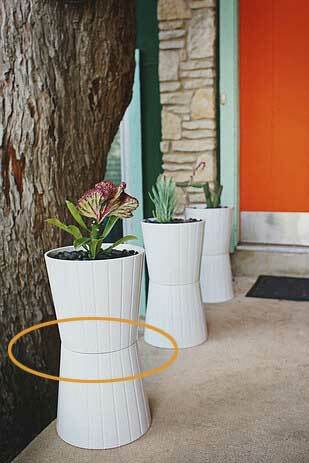 Plus, you can find inexpensive terra cotta pots and paint them whatever color you’d like. Add dimension to the front of your home by layering plants. You should mix and match to add some texture and color. 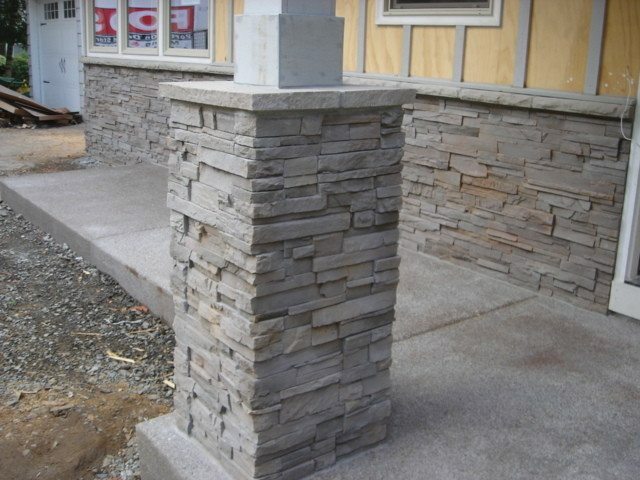 Boring wood or metal columns can instantly be upgraded by using a stone veneer that wraps around them. The DIY Network has a fun, affordable tutorial on how to create this gorgeous look on your own. It’s much easier than you’d think! 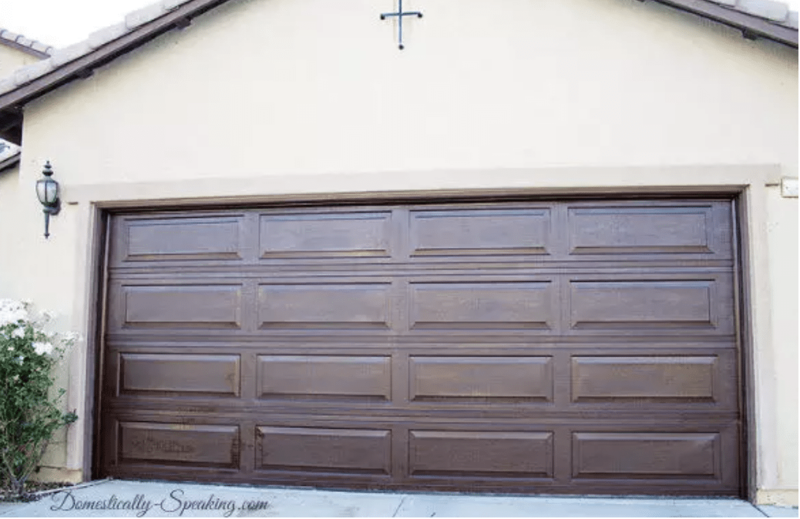 If your garage door is looking a little beat up you can give it a makeover. Wood staining your aluminum garage door will give it a rustic feel. You can also paint it a pretty color to make it stand out. 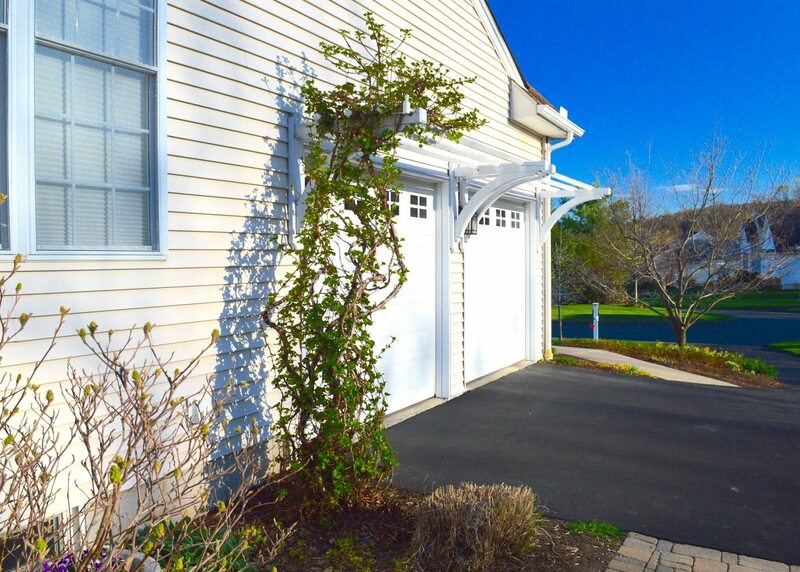 Bring the Italian countryside to your home by creating a pergola over your garage doors and adding some climbing plants or vines. 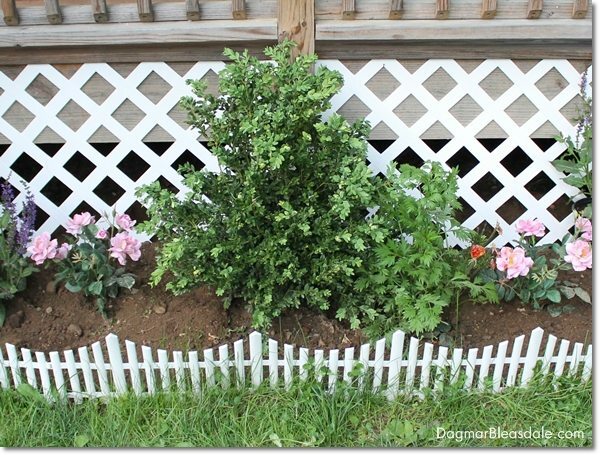 Head over to the My Weeds Are Very Sorry blog for a full tutorial on how to easily build your own with a quick trip to the hardware store. Your neighbors’ heads will turn. 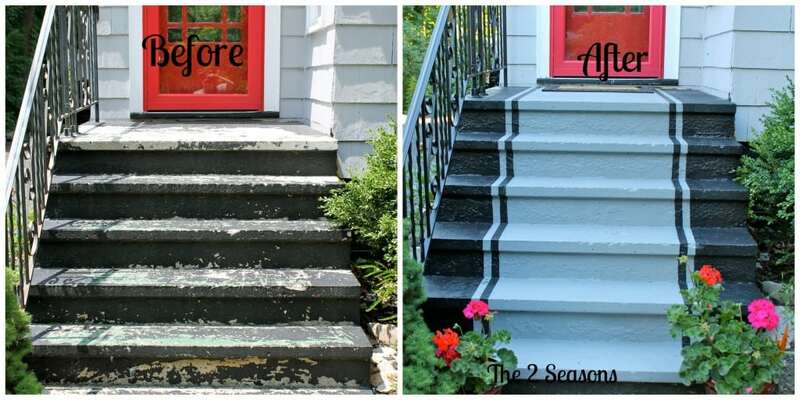 If your stairs are shot, give them a new coat of paint. You can also create a unique focal point by painting a faux runner. Where do your water run-off spouts go when it rains? 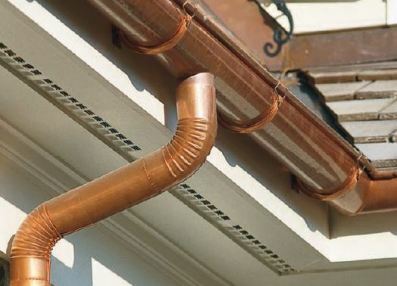 Into a rainwater collector or onto your lawn and yard? 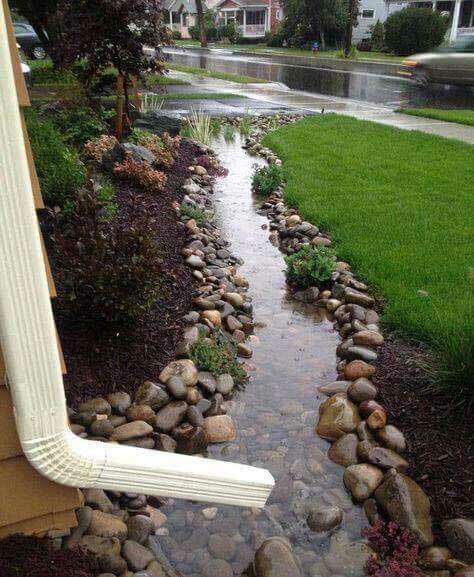 Why not transform it into a beautiful stone river bed? Just dig out a trench from your spout leading to a drainage area, and line it with river rock. Is that the home of a famous rapper? Nope, it’s you! 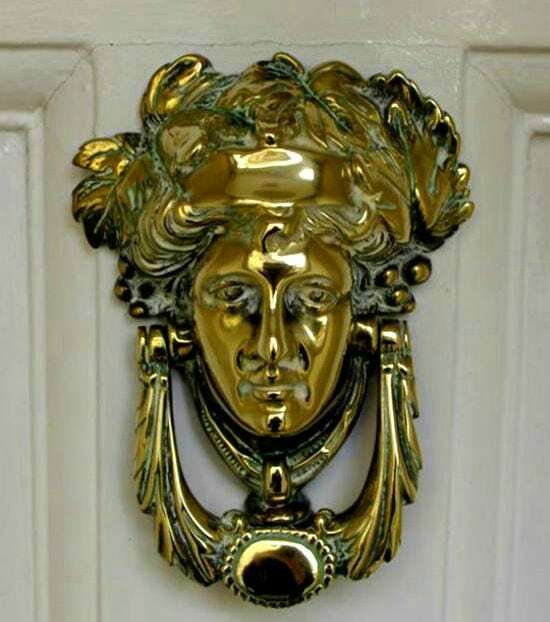 Make your house look like ballers live there by buying a fancy door knocker for $25 and up. You can buy a lower end one and spray paint it to look more expensive. 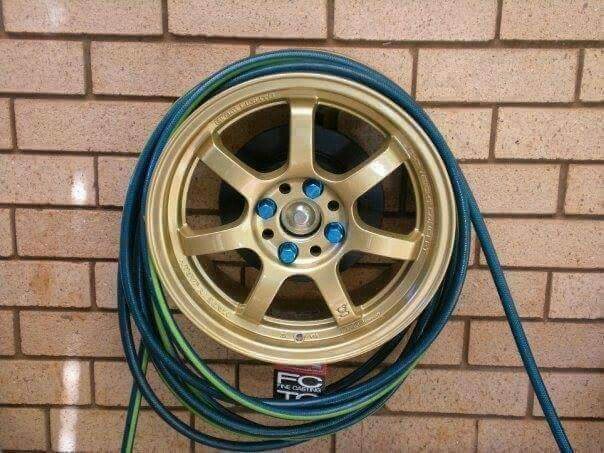 Repurpose an old car wheel and turn it into a unique way to store your hose. No need to spend a lot of money on this project, just visit a u-pull yard to search for the perfect fit for your yard and hang with simple hardware. 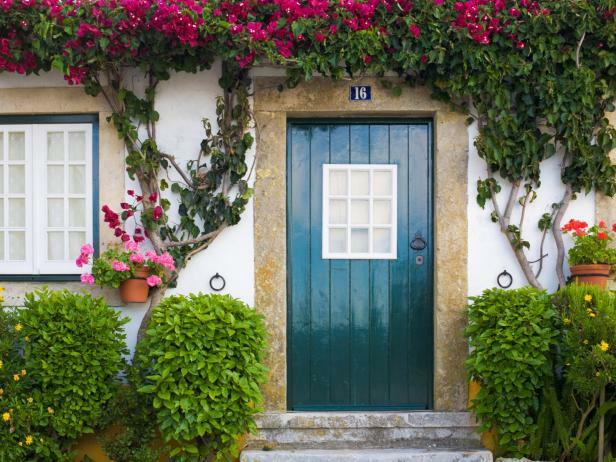 Painting your front door adds a lively pop of color that draws the eye to your home. It gives off a modern and inviting feel. 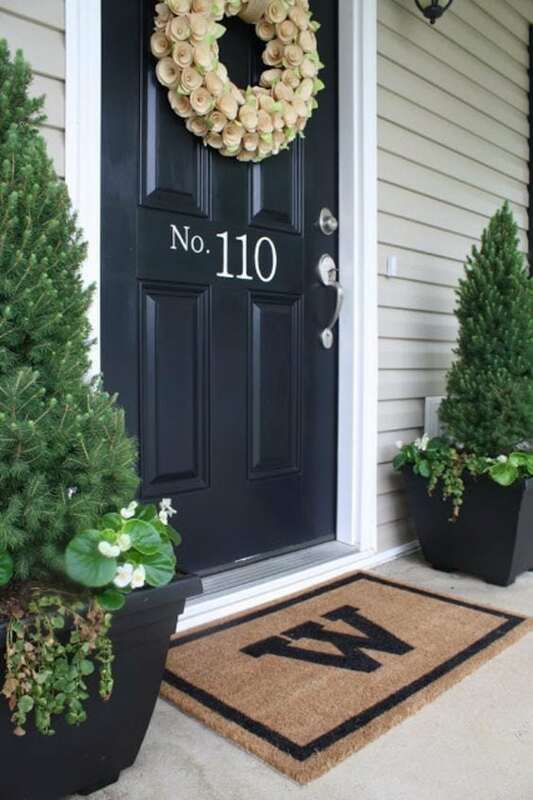 Get details on painting your front door here. 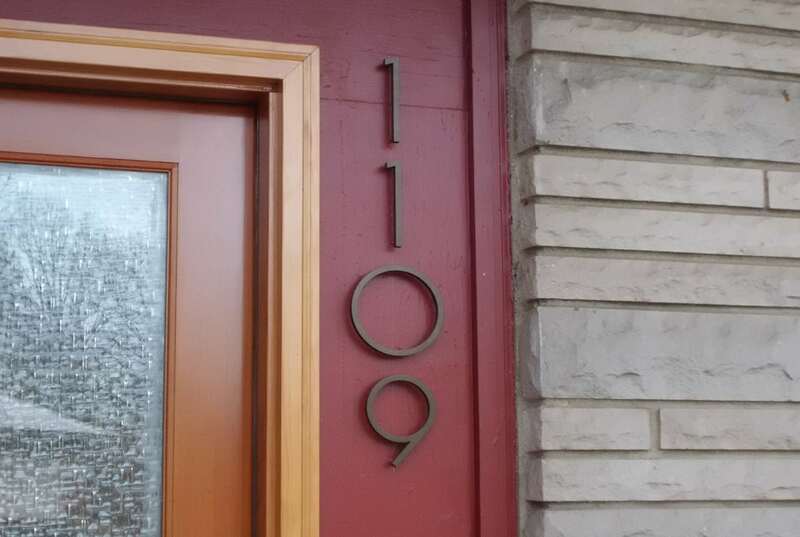 Changing your house numbers to more modernized looking one goes a long way. It makes you look like you put money into upgrades. It also makes your home appear newer. Old, dirty vinyl or metal gutters don’t really turn heads when people are walking by. Make this small detail of your home stand out by spray painting them with a metallic or hammered spray paint. A can costs less than $10. Lots of homes tend to opt for a standard concrete path, but wouldn’t red bricks be so gorgeous? 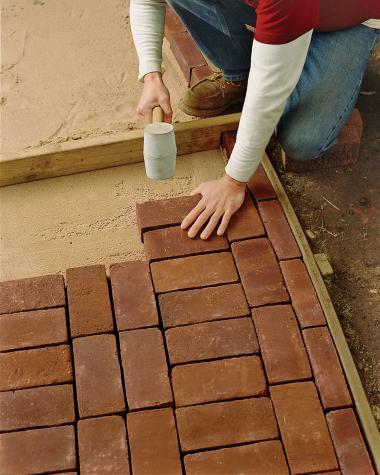 Luckily, bricks are inexpensive, and so are the other supplies needed to build a beautiful brick path to your home. Then, all you’ll need is a little elbow grease! Head to This Old House for the full tutorial. 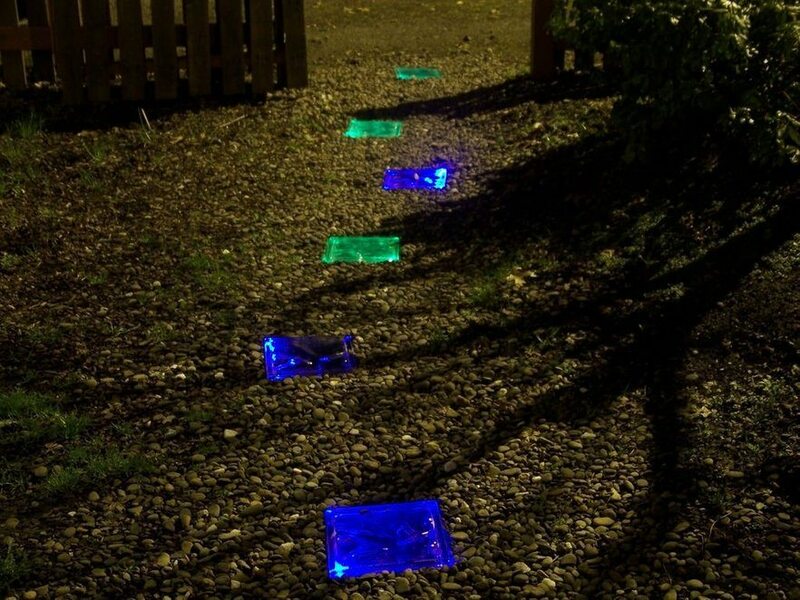 How many people do you know that have a solar-powered lighted walkway that they built themselves? Probably not many. Building this colored blocks for your walkway might seem like a difficult task, but Instructables has an easy tutorial to follow. Exposed foundation can look sloppy. 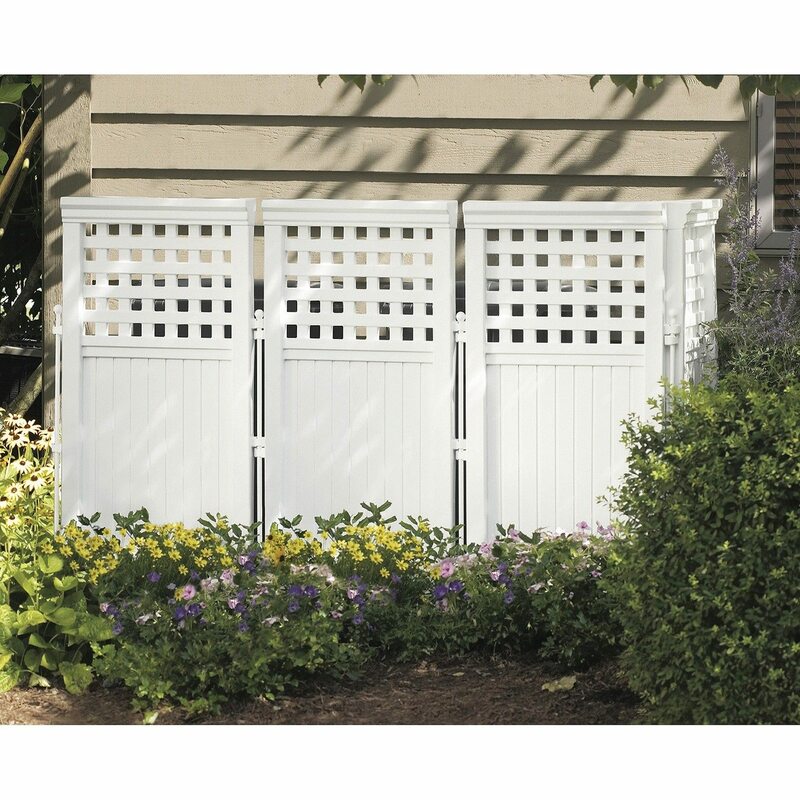 Make it look nice and neat by covering it with faux panels. 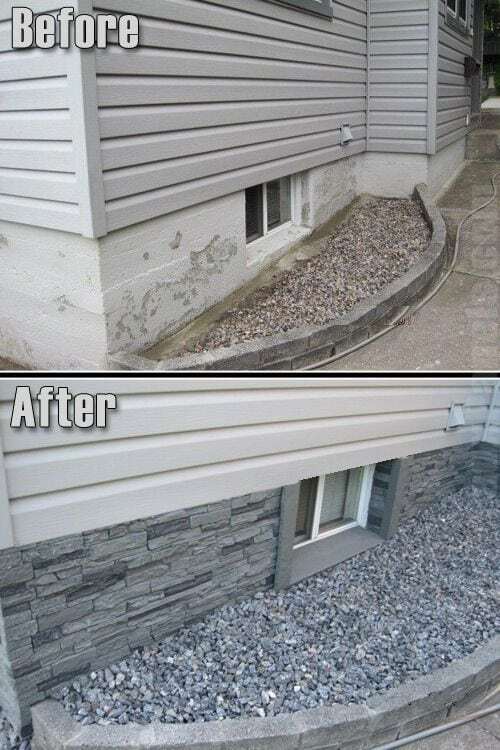 If building this is your strong suit, this is a fun weekend project that will completely transform the look of your front yard. 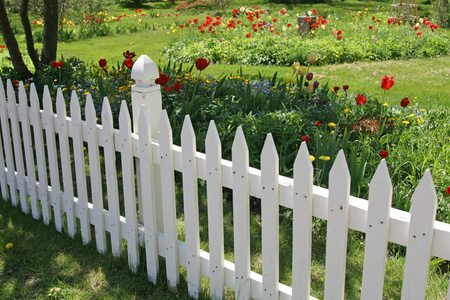 True Value has a tutorial that teaches you how to build your own picket fence in just six steps. Head to their website to find out how. Mailboxes can look plain and kinda ugly. Give it a classy new look with some stone pieces, a coat of paint, or add some planters. Adding a simple lattice that wraps around your front porch is a lovely way to disguise the crawl space underneath. Dagmar Bleasdale has a really easy-to-follow tutorial on how to create your own. Doort mats can get pretty ratty overtime. A new modernized welcome mat will be much more inviting. It’s incredible what a little molding and paint can do for a front door. Not to mention, this project can be completed in just a few hours. The Jilly and Mia blog did this fun project at their house and shared their step-by-step instructions. Need to add some character to your home? 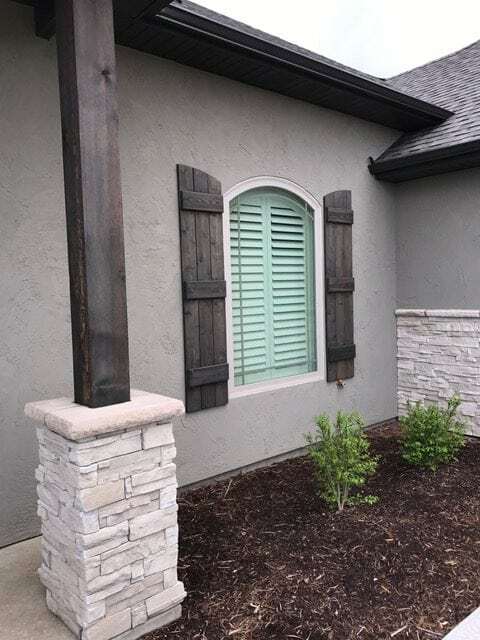 Install some faux shutters. A/C units might be one of the ugliest things that we have outside of our house, and it seems like they’re always in plain sight of the street. 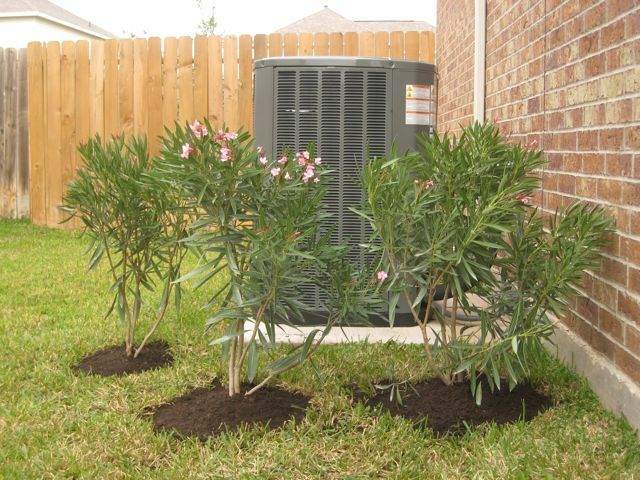 Help hide your unsightly air conditioner by planting a few bushes, shrubs, or flowers around it. Spirals and Spatulas bought these oleanders for just $6 each. 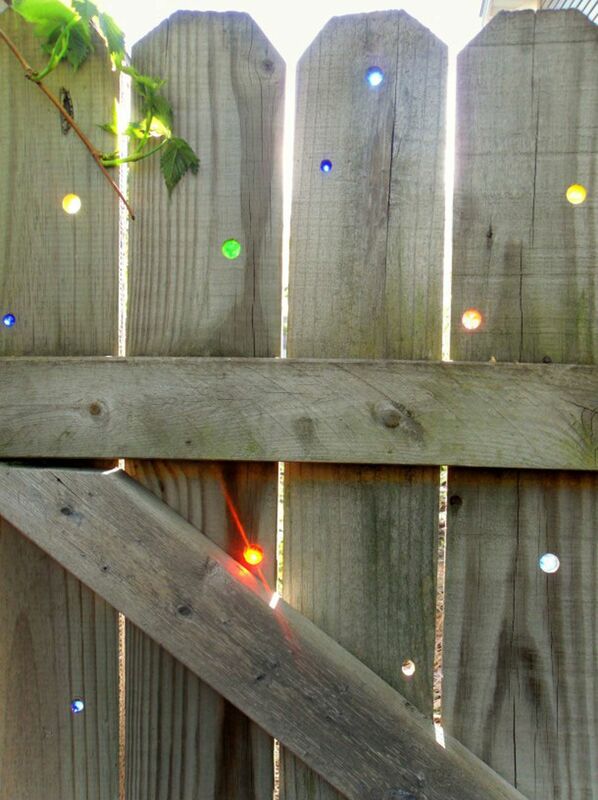 Take a boring wooden fence and make it a magical art piece in your yard with this fun project. Garden Drama created this colorful project and shared the details on their blog. The best part is that it just costs a little time a few bucks. If you have a front porch, it simply won’t be complete until you have a front porch. 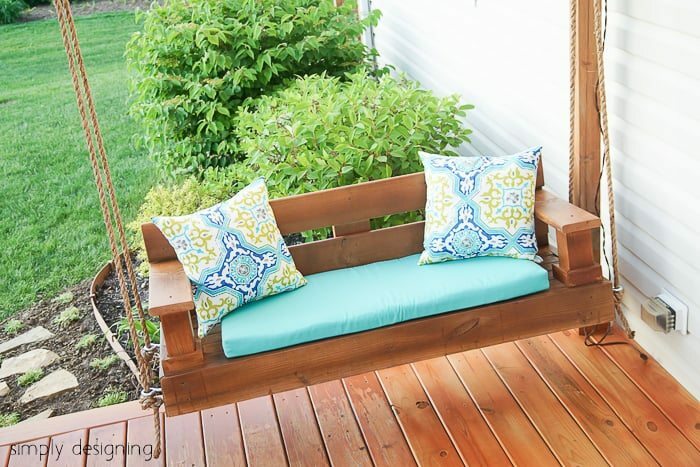 Buying a pre-built porch swing can be costly, but if you build it yourself, it will be just a fraction of that total. Simply Designing has a surprisingly simple tutorial on how to make your own. 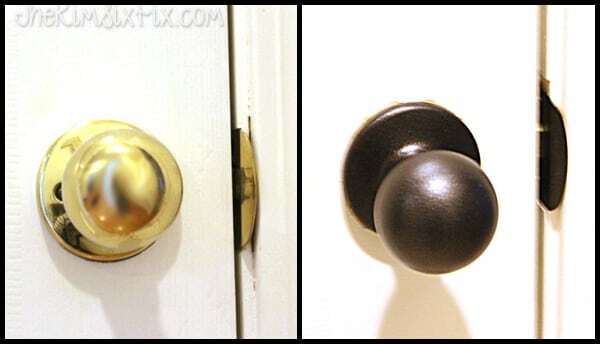 Door knobs can get beat up pretty quickly. Make them look new by giving them a coat of spray paint. It gives your knobs a more upscale look. 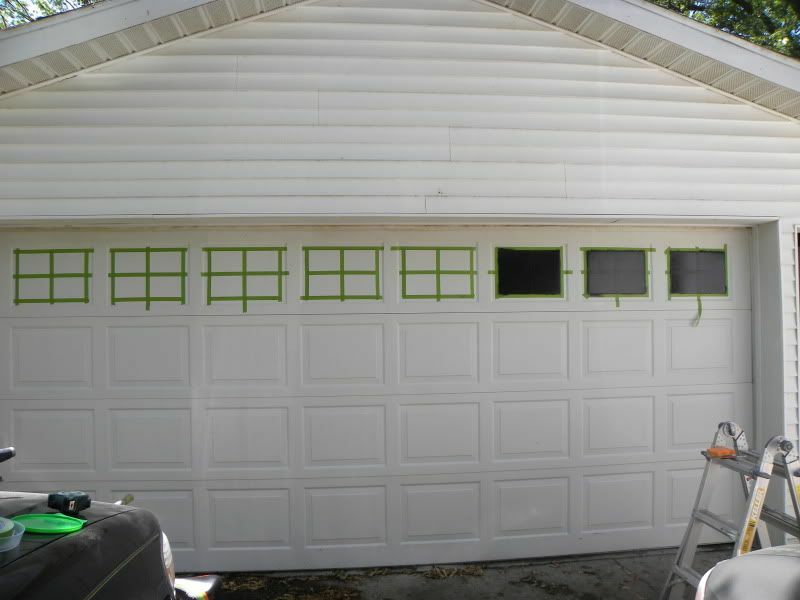 Upgrade your garage by adding windows – but don’t fret, you don’t have to install them or purchase a brand new garage door, just paint them on! Using a little tape and some black paint, you can give the illusion of windows for just a few bucks. 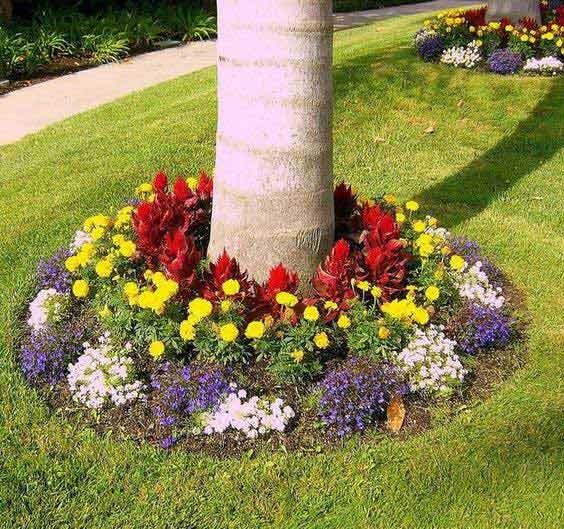 Create a vibrant pop of color in your front yard by making a flower bed at the base of trees and planting vividly-colored flowers and plants. Head to The Home Depot where you can find flowers for just a couple dollars. Not to mention, gardening is a great way to spend a sunny day. 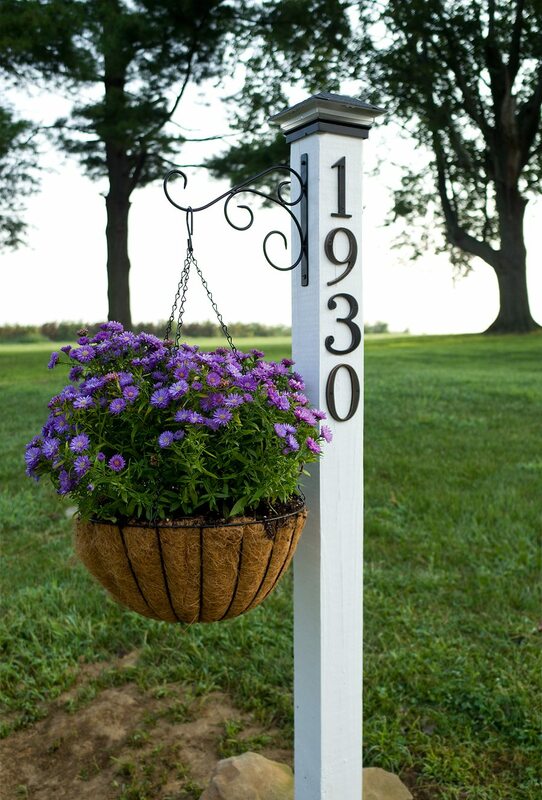 Instead of a traditional look of having your house number on the side of your home or a column, try this beautiful idea. Create your own stencils using paper in a thick stock, then paint the numbers on a planter pot sitting on your front patio. So simple, so eye-catching. Many houses have their address number printed on the side of their home, but if your house sits back from the street, or you have a long driveway, the numbers might be hard to see. 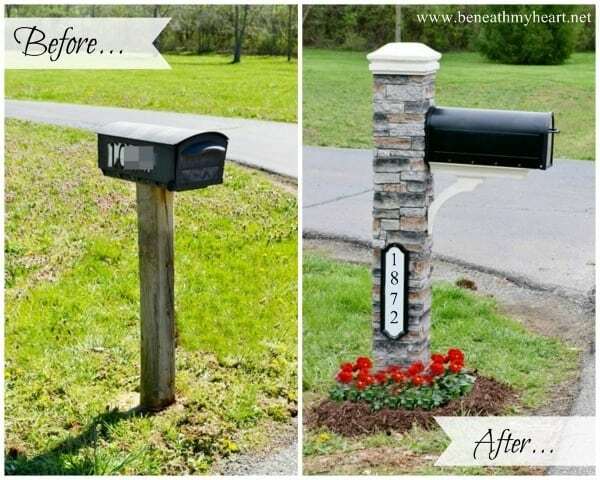 Create a beautiful way to show off flowers while elegantly displaying your address with this DIY address post. Head to Hello Farmhouse for the tutorial. City garbage cans aren’t exactly the most attractive looking things on the planet. Luckily, you can hide them with a simple enclosure. Head to the hardware store for lumber and supplies to build your own, or purchase one that is already manufactured. Adding just a simple brick edge to your flower bed or walkway can be a major improvement to the curb appeal of your home. The best part? Bricks are so inexpensive! You can pick up a bunch of them, averaging less than $0.50 each. 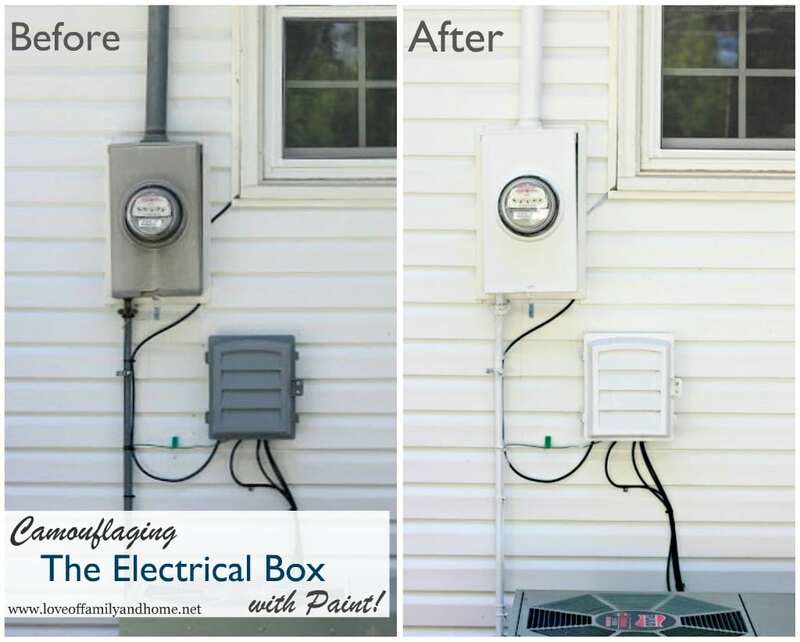 Electrical boxes are unsightly and stick out like a sore thumb. Paint them so they blend in with your house. 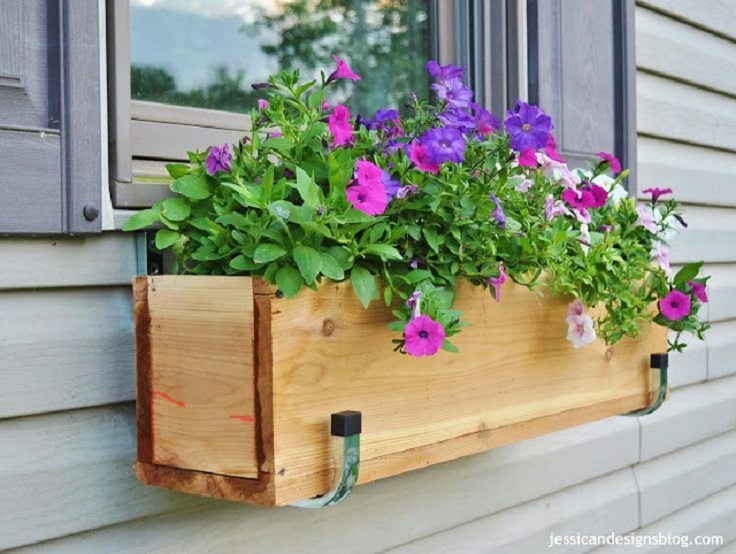 Adding window boxes to your home is a classic way to instantly boost your curb appeal. The Rehab Life has a fun tutorial for you to create your own for just $20. It really doesn’t get better (or cheaper!) than that. 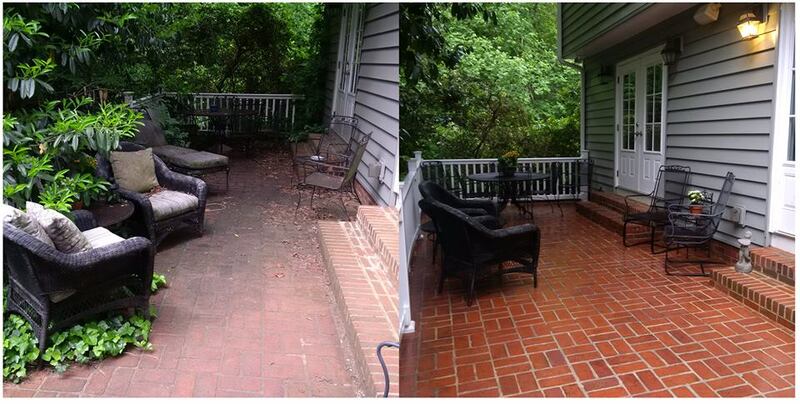 Pressure washing the outside of your home makes an enormous difference. Just be careful if you’re doing it on wood because it can splinter. Once again, inexpensive bricks are coming to your curb appeal rescue! 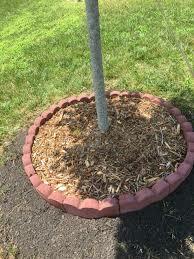 Using bricks and a bit of mulch, you can add tree rings around the trunks of the trees in your front yard. It’s fine details like this that can be so eye-catching. 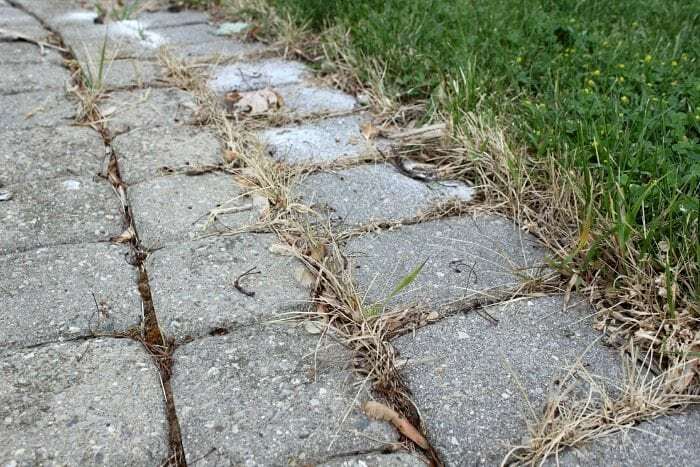 Get rid of weeds that creep up between your concrete areas. You can get the ingredients for a DIY weed killing spray here. Did you know that you can stain your concrete? You can! And it’s so easy and inexpensive! For around just $25 you can find a can of concrete stain and create beautiful patterns on your front walkway or entryway. Such an easy way to upgrade your home.